The end of the day is my favorite. I like the warm, strong light when the sun in low in the sky. It is also a great time of the day to look for shadows. 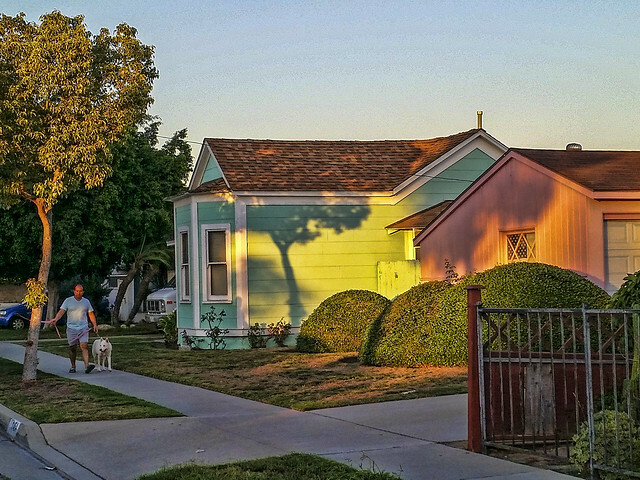 I found this tree shadow on my drive home one afternoon. The tree shadow actually looks dark green.